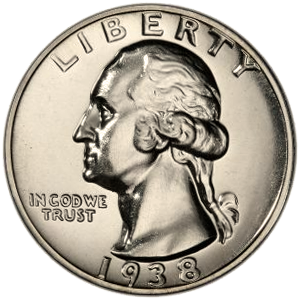 Coin Dealer Insight: 1938 saw a further decrease in overall production with just over 12 million total quarters were produced from Philadelphia and San Francisco combined. 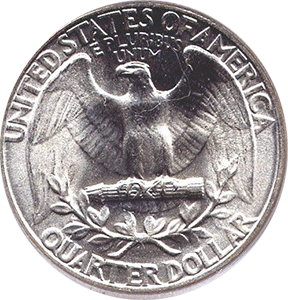 No quarters were produced at the Denver Mint in 1938. 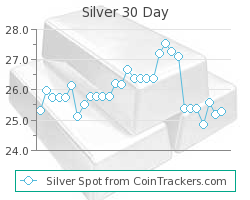 Also, as one of the lowest production runs, 1938 Washington quarters have prices somewhat higher than other years. The lower production run at San Francisco gives them higher value, but only on better grade coiins. Value: Can usually be found and sold for somewhere between $9.20-$240.00 price dictated by condition, certification, and current demand. Other factors include location, inventory, and urgency of sale. 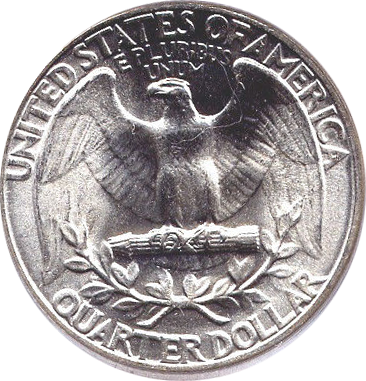 Production: 2,832,000 Washington Quarters were minted at the San Francisco mint in 1938.